From fancy French toast to cheese-filled frittatas, and of course, daringly spiced deviled eggs, this Easter brunch menu has it all. Settle into Sunday with these delicious recipes. A savory main dish filled with cheese, Italian bacon, and cherry tomatoes. These eggs are dusted with spices and full of flavor. Parfaits and brunch, maple syrup and Northern Michigan … of course … maple syrup parfaits! Cherries, wine and french toast!? Don’t mind if we do. Add a little buzz to brunch with a sparkling wine cocktail. A sweet treat for your taste buds. Crunchy, nutty bliss in a bar. 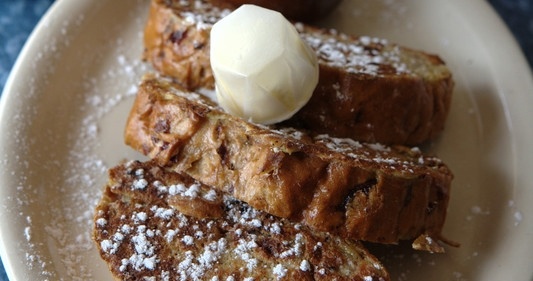 Find more brunch ideas in MyNorth’s recipe directory!